After spending nine years displayed on a pole at the Armee de I’Air Base at Metz-Frescaty, in Lorraine, eastern France, North American F-100D Super Sabre 54-2131 was recently moved to the old French Air Force base at Toul-Rosieres, where it will be included in a new museum that is being set up to record local aviation history. The F-100 will be displayed next to its replacement, a SEPECAT Jaguar, at the new museum, which is due to open during the autumn. The Armee de I’Air was the first overseas air arm to take delivery of the F-100, the first example arriving in France from the USA on May 1, 1958. A total of 85 F-100Ds and 15 F-100F two-seaters were to be taken on charge. During 1959, the F-100Ds of EC 1/3, Navarre began combat missions over Algeria, flying strike sorties from their base at Rheims and refuelling at Istres in the south of France on the return journey. The Super Sabres were withdrawn from service during 1977-78, replaced by SEPECAT Jaguars. The remaining French F-100s then returned to American control, and they were flown to RAF Sculthorpe, Norfolk for storage. Several examples were then loaned to UK aviation museums. 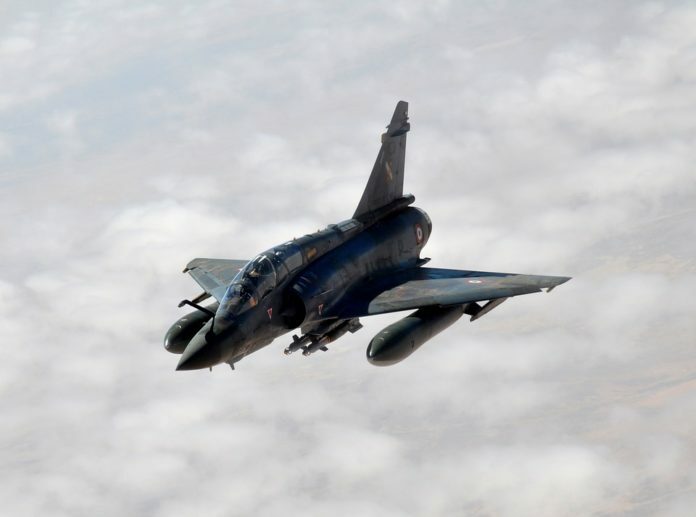 The last ever flight by an Armee de I’Air Super Sabre was made by a machine from IV/11 Jura at Djibouti, on December 31, 1978.